With Ascot season approaching I thought it was excellent timing to put together a few outfits. All the outfits include everything from the dress to the fascinator/hat and I think I've picked 3 outfits that would suit every taste. It's also coming up to Wedding season too and I definitely think all 3 of these outfits are both races and wedding appropriate. I absolutely love Royal Ascot races, it's definitely one of my favourite events of the year and each year my friends and I always plan our outfits. I think this is half of the fun especially if you then get ready together because you can all try on each others hats and dresses. If you don't know much about the races then let me run through the different areas that you can buy tickets for. Royal Enclosure is the most prestigious area to attend, and you generally need to be invited to go to this section. The dress code is strictly formal so that means hats, Kate Middleton esque dresses and generally nothing too over the top and too revealing. Grand Stand is a little more relaxed, so you don't need a hat although you're more than welcome to wear one however, you do need to wear a fascinator. Silver Ring is the most relaxed section where you don't need to wear a hat or fascinator but you still need to wear a fnice dress. This is the area that you're allowed to bring you own picnic and alcohol and if the sun is out this area is so much fun. I've been to all areas over the years and they all equally as fun but I would suggest heading to the Silver Ring area if you don't particularly like formal events and don't want to spend a fortune on tickets and alcohol. I hope you found this post useful in getting outfit inspiration and I'd love it if you tweet or tag me in your outfit photos if you head to the races. 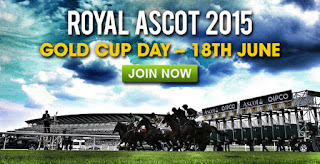 I've got all my fingers crossed for good weather on he day and get planning for Gold Cup day, it's almost here!